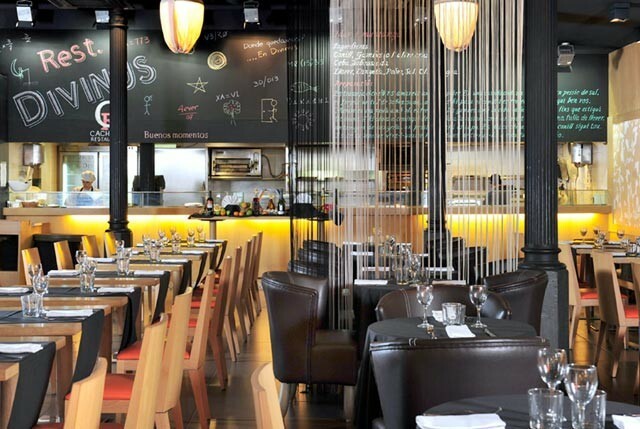 Divinus is a gastronomic restaurant that has 2 locations in Barcelona, one at the Passeig de Gracia and one at Ronda Universitat, both in the Eixample neighborhood. 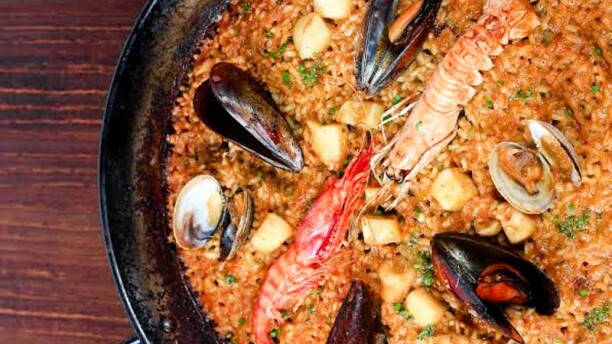 This restaurant serves international cuisine with touches of modernity and creativity, including tapas, pasta, paella, salads and many more. In addition, as you can see, it offers a very wide arrangement of delicious dishes, having something for everyone’s taste. However, for only 20 euros, you can get a 3-course menu including wine. 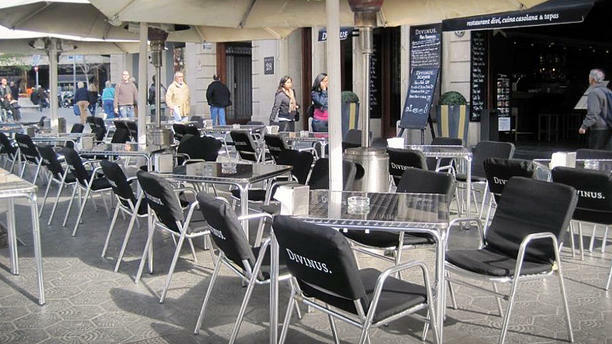 Both places have a fresh, tasteful décor with wine racks as decoration and an outdoor terrace to enjoy your meal in the Barcelona-heat. 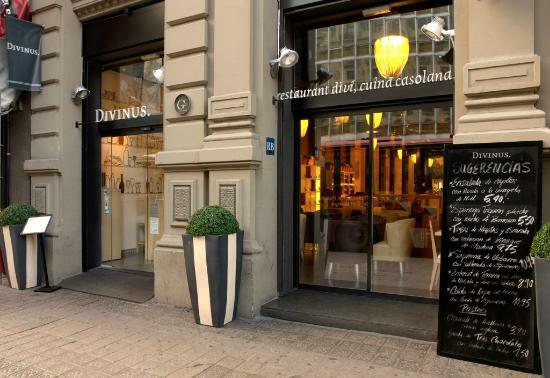 Divinus attracts both locals and tourists, making this the perfect place to go for all kinds of foods.